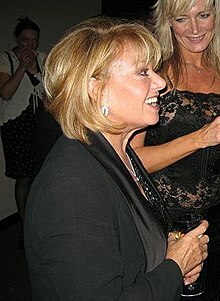 Elaine Paige OBE (née Bickerstaff; born 5 March 1948) is an English singer and actress, primarily in musicals. My first singing role was as Susanna in a school production in a shortened form of Mozart’s The Marriage of Figaro. I loved to sing and I was given lots of encouragement by a wonderful music teacher Mrs Ann Hill and by my parents who suggested I go to drama school. If you’re a serious actor, you wouldn’t put yourself up for one of those shows in case you got bumped off the first week and all your colleagues saw it. I thought: "Gosh, it really has been worth the wait." And I think had I gone with Evita, I probably wouldn't have been ready to deal with it. It was just the most perfect time to go with that particular show. Although no one could question her zealous work ethic (she drove herself to breakdown performing in Pam Gems’s Piaf in 1993), Paige is not exactly known for her humility. In newspaper profiles, that dread word "difficult" is often applied, and yet here she is in the chorus line, cheerfully taking on a modest role in a musical with far more credibility and less bombast than the shows that made her name. This page was last edited on 3 January 2019, at 18:03.